Illuminate the universe and you’ll see more beauty than you could ever imagine. That’s exactly what a cosmic phenomenon, called a light echo, does. This isn’t just a pretty image, though. It’s one of many that the Hubble has caught that actually teaches us something new about how our universe works. We think it’s one of the most stunning scientific images we’ve seen from the telescope because astronomers had to wait nearly two years for it. That’s because before 2002, the only thing we could see in this region was a supergiant star. 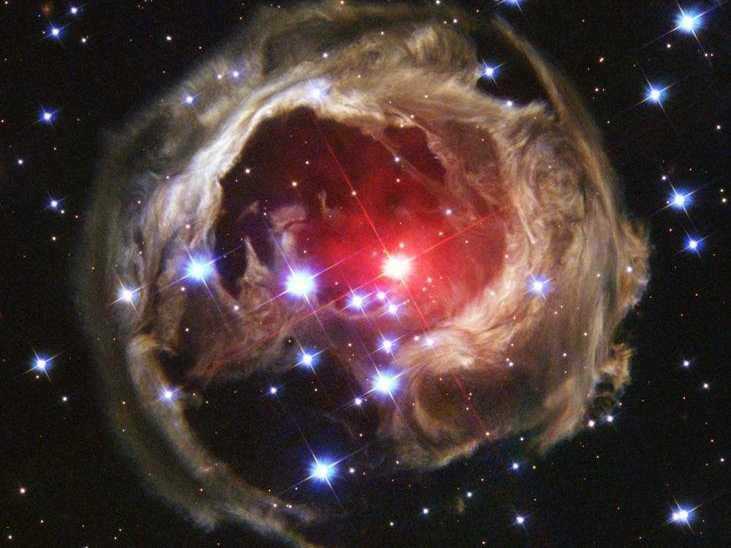 The star eventually faded, but the light it emitted continued to travel outward, illuminating the star’s surrounding nebula, as shown in the animation below. Our Universe VisualizedAnimation of a light echo in action. NASA, ESA, H.E. Bond (STScI) and The Hubble Heritage Team (STScI/AURA)Series of Hubble images showing a light-echo progression. What we see if the result of starlight propagating through space and then reflecting off the nebula’s gas and dust, just like sounds bounces off of walls in a cave creating an echo-effect. 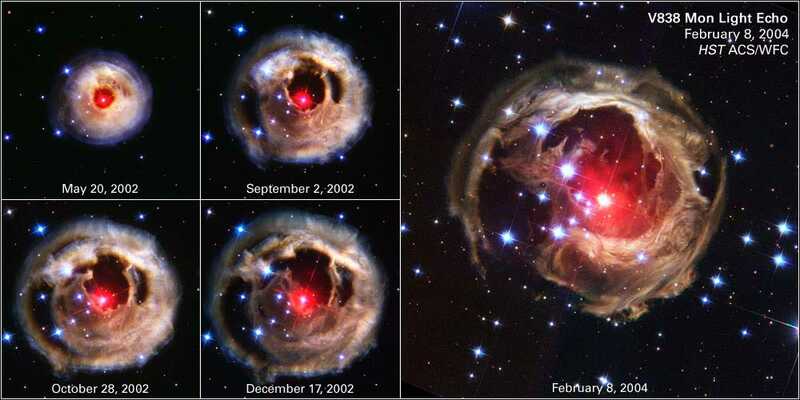 Some of that reflected light heads toward Earth and was detected by Hubble. Below is a gorgeous simulation showing the full, gradual progression of the most stunning light echo we’ve ever witnessed.